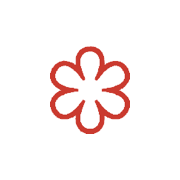 The team behind estela, one of The World’s 50 Best Restaurants 2016, has established Flora Bar & Coffee at The Met Breuer. Flora Coffee is seeking a strong baristas to join the growing cafe. Applicants must be highly motivated team players with a strong foundational knowledge of coffee, an interest in food and a positive attitude. Ideal candidates will have at least one year of experience working with a quality-driven coffee company, a roastery or a cafe. They will also be interested in contributing creatively to the shaping of a dynamic coffee and tea program that is an integral part of our restaurant, Flora Bar. Well Rounded, i.e Knowledge of Music, Art, Fashion, Literature, News, etc. From the chef/owner of the critically-acclaimed restaurant Estela in Nolita and Café Altro Paradiso in SoHo, comes Flora Bar and Flora Coffee. Flora Bar takes inspiration from lively, approachable restaurants in New York and Europe and is open beyond museum hours. The menu emphasizes seafood and vegetables and strives to be tasty and playful. You can stop in for a full dinner, a small bite or a drink at the long bar. 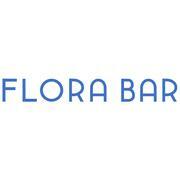 The Flora Bar team aim to create an atmosphere of accessibility and fun similar to what they’ve cultivated downtown. The partnership with the museum came about from The Met’s desire to bring the Estela team’s light and ethereal tone—and perhaps foremost its sensitivity to the setting and location of a space—to the iconic Breuer building.